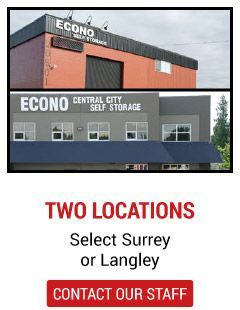 With secure, convenient and affordable public self storage units in Surrey and Langley, Econo Self Storage provides the best short and long-term self storage available for residential and commercial tenants. 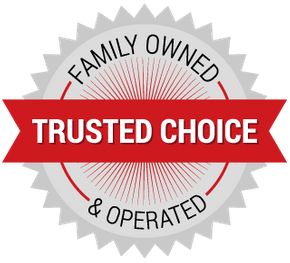 Owned and operated by a local Langley family, we offer not only friendly service but also the safest storage solutions for month-to-month rental at two convenient locations. 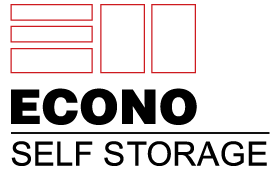 These qualities set us apart from other public storage facilities, all at a price that fits your budget. 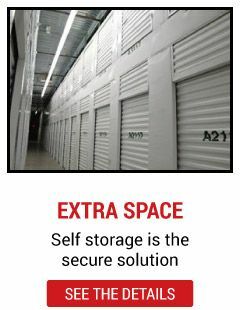 Ask us about our extra spacious self storage facility in Surrey, our newest location built in 2005 with a second building completed in 2007. 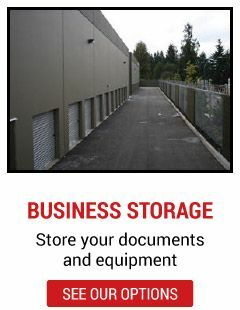 Econo Self Storage offers indoor and outdoor storage units with heated storage available at both our Surrey and Langley locations. Run out of driveway or garage space to store your boat or RV for the off season? 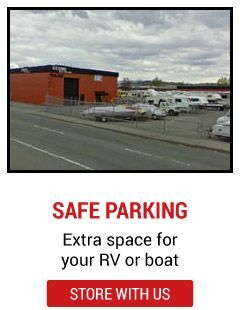 We also offer level, paved parking with 24-hour camera surveillance for cars, boats, trailers and more on a month-to-month lease.